Students who would like to request and/or cancel their aid must fill out this form. 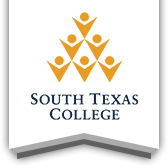 Beginning with the 2010-2011 academic year, Texas Higher Education Coordinating Board will require institutions to collect a statement from each TEXAS Grant or TEOG recipient prior to the disbursement of funds. Students who are selected for verification and did not file and were not required to file a 2015 income tax return must fill out this form.